Translation: Yuki Mine to spend your holidays in the snow, it depends on which style you enjoy the most. However the biggest winter resort in Sweden is Åre. A modern ski resort with a long history and traditions. If your idea is to visit Sweden for the winter season you should dare and give it a try. Åre hosted the FIS Alpine World Ski Championships which tells something of the standard of the pistes. But hold on! it is not necessary to be an advance skier to enjoy there since the resort is divided by different areas according a range of difficulty. The fact that Condé Nast Traveller ranked Åre among the ten best ski resorts in the world is expected to have an effect on the international market also this season. But Åre it does not only mean winter season. You have the possibility to enjoy this big mountain during the whole year. You can enjoy different outdoor activities such as fly-fishing, rock climbing, canoeing, etc. It´s just a matter of let yourself enjoy through the assets of the Nordic region. This winter Åre is celebrating 100 years as a winter sports destination, since it is exactly one century since the funicular Åre Bergbana was finished and also one century since the formation of Åre Turistförening, it´s the tourist association in Åre. 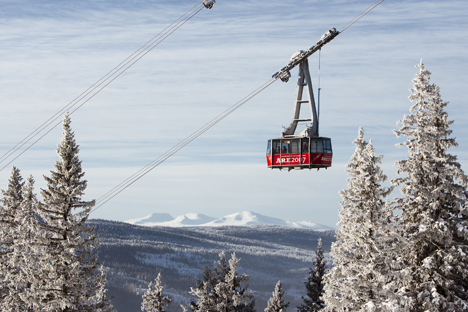 Åre is now member of Leading Mountain Resorts of the world. This is a global partnership gathering the most highly rated and awarded alpine resorts in different parts of the world. Each resort is internationally recognized for its stunning alpine surroundings and the unrivalled quality of skiing. 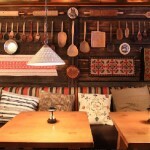 In addition Après-ski (after-ski) in Åre is well known by its atmosphere and nightlife in the village.